"What is Easter All About?" 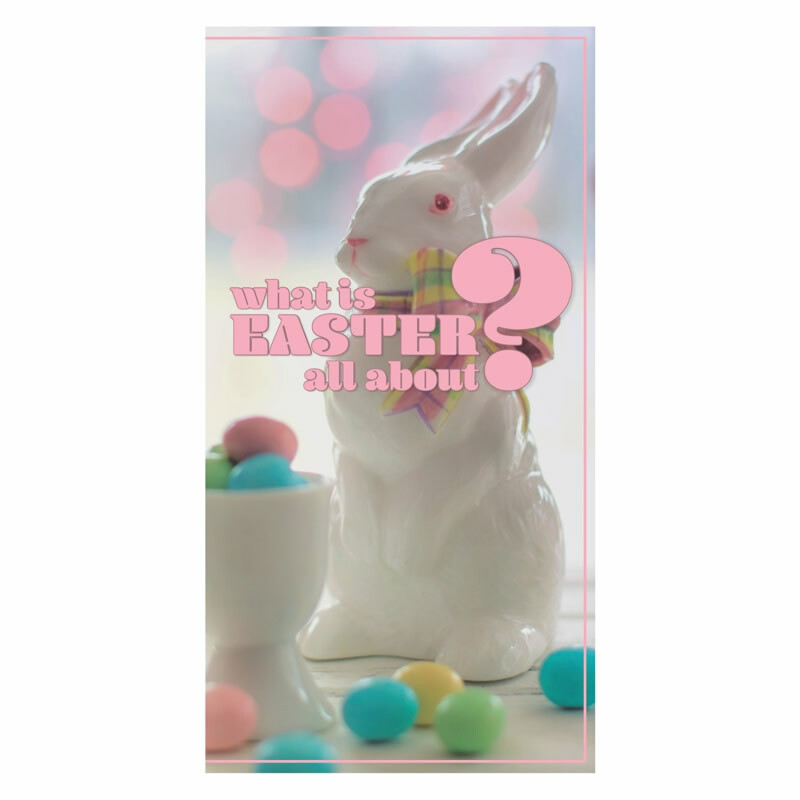 gospel tract will meet people at their level of understanding about Easter, then answer important questions they may have about what Easter is REALLY about. 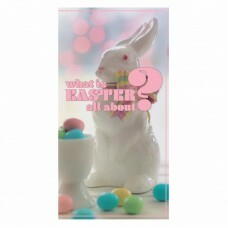 What is Easter all about? Who is Jesus Christ? What happened to Jesus? If Jesus is God, why did He come to earth? Why is a relationship with God so important? How can I restore my relationship with God? How can I accept His payment? These are all questions asked and answered by this tract. 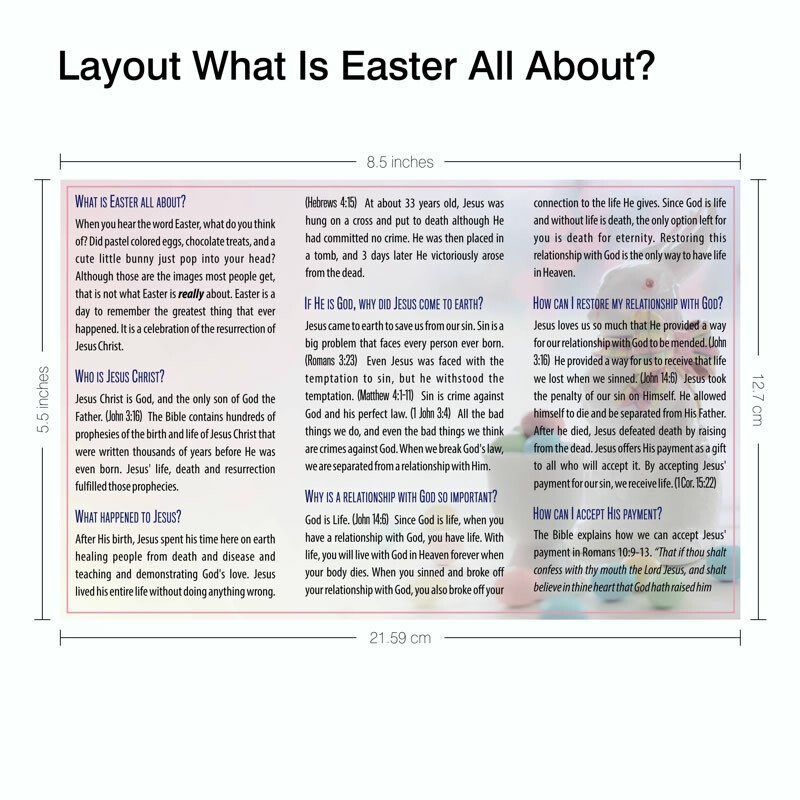 This tract is a great Easter outreach tool for any church, and will help you bring people to the conclusion that they are in need of a relationship with God, and how they can have one. Our tracts are printed on heavy 100# Gloss Book stock and coated with a scuff-resistant AQ Gloss coating, so they can endure a lot of handling with minimal tattering. No paper is totally moisture-resistant, but these tracts will not be slowed down by a little rain. The ink will not bleed or run, and the paper will not readily absorb the moisture—just shake off the droplets and carry on! Carry them in your pocket, purse, or wallet. Keep a stack in your glove box. 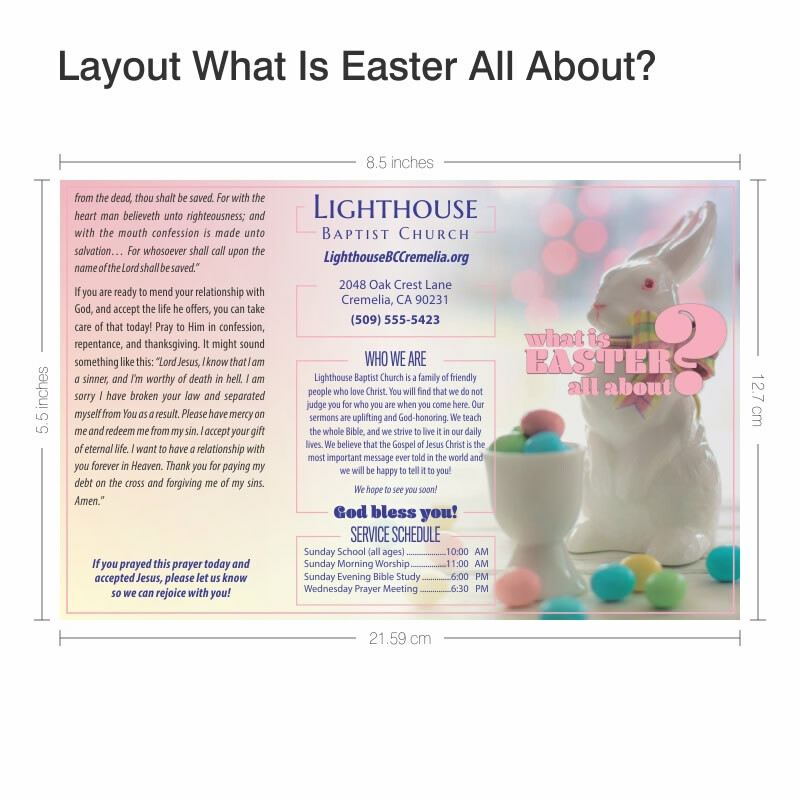 Hand them out while tracting, keep your tract rack well-stocked, and include them in your Welcome Packet.